FRIDAY 3rd March 2017 saw one of the first SIX TIMES OPEN events of 2017 hosted by campaign ambassador Amelia Wright. After a strong build up from the local York press surrounding the event, the Charity Jazz Dinner kicked off in full swing at the Monkbar Hotel, in York. The entertainment featured the incredible talents of a host of local Yorkshire musicians including; Pianist Joe Christie, Singer Kirsty Hughes, saxophonist Sarah Stanley, Seven piece Jazz band courtesy of Christian Topman from the Arts Barge Project, York Vintage Dance delivering some Charleston moves, and Adam Dawson with an acoustic set. Amelia Wright herself, took to the stage for the Charleston demonstration followed later by a solo performance with recently re-united old school friend Adam Dawson. Dancing was followed by speeches from the SIX TIMES OPEN twins David and Jonathan Stretton-Downes alongside campaign ambassador and host Amelia Wright. 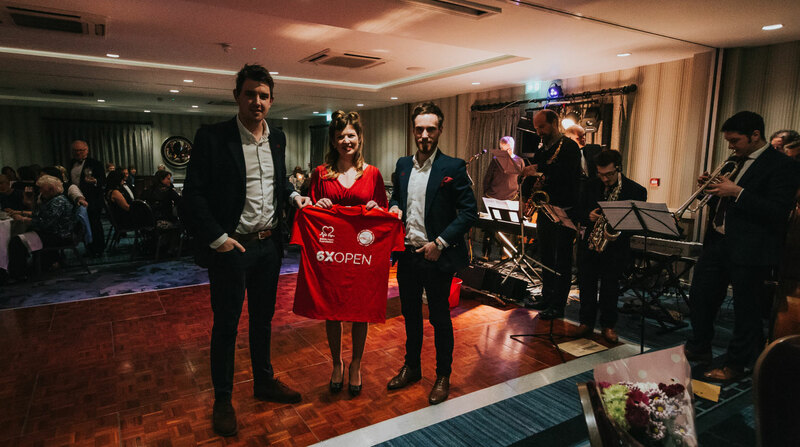 The events focus was aimed at raising awareness of the SIX TIMES OPEN campaign, celebrating the surgery survival and recovery of Amelia Wright, thanks to the vital ongoing research of The British Heart Foundation. The event was a huge success and raised over £1500 from the raffle and ticket sales for the BHF. The key message from the speeches was that heart conditions don’t need to dictate your life and that Amelia and Jonathan, like many at the event are only here today thanks to the vital research conducted by the British Heart Foundation. We are incredibly grateful for all the local business community who generously supported the event with the amazing raffle prizes and continued offerings of ongoing support for the campaign during 2017.